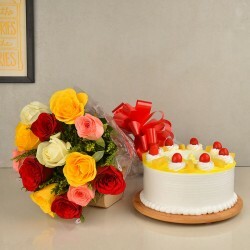 If you are looking to order Midnight Flowers, Cakes or other unique and lovely Gifts online for a birthday, anniversary or a special occasion such as Valentine's Day, Father's Day, Raksha Bandhan, Women's Day or any other, you have ended up at the right place indeed! MyFlowerTree has always been a fitting choice when it comes to midnight Cakes or Flower bouquet delivery. So just order from our online gift shop and surprise your precious ones just in time! Did you forget to wish someone dearer to you and wondering how to make up for it? Believe us, it's nearly impossible to remember each and every occasion and catering to your situation we render last minute delivery options made available to you making the most of your limited time that you have. 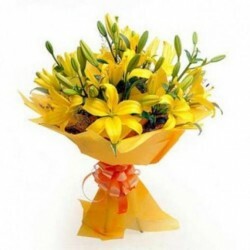 We understand your concerns and intend to offer you world-class, reliable midnight flower and gift delivery options wherein you choose from a plethora of flowers viz. Roses, Orchids, Carnations, Gerberas, Lilies, Tulips, Daisies, Chrysanthemum, Bird of Paradise, Sunflowers, Glads (Gladiolus), Premium Flower Bouquets, Mixed Flowers, Eustoma, Heart-Shaped Arrangements, Gold and Silver-plated, Basket arrangements, Serenades, and much more. If you have missed out on any important occasion, you can book our midnight delivery of flower arrangements and save yourself from getting abashed. Our dedicated support staff will be more than happy to serve you with your personalized orders and present you with an ideal treat to celebrate all occasions with immense pleasure and a deep sense of gratitude. Since our prime concern remains customer satisfaction, our team has always aimed at creating happiness through our entrusted flower delivery services. Surprise your loved ones at midnight with our wide selection of alluring flowers and cakes available. For example, you can go for our midnight delivery of birthday gifts and make it incredibly memorable for them on their special day. Also, if you are looking for Midnight delivery of anniversary gifts, this is the best place to be! Choose Midnight option for delivery in Bangalore, Delhi, Chennai, Mumbai, Pune, Ahmedabad, or any other location and avail Free shipping across India. Our delivery network is spread across a gamut of major and remote cities of India to cater to every nook and corner of the country. With an aesthetic mix of fresh flowers and tempting cake flavours, this combo makes for a classic choice. Send Flowers with Cakes anywhere, anytime with our all-occasion combo delivery. The fondness and admiration for delish cakes is boundless. Keeping that in mind, we have equipped all our cakes with distinct flavours and assortments such as Black Forest, Chocolate Truffle, Butterscotch, Red Velvet, Dark Chocolate along with distinctly flavoured cakes and combos to give you more choices to select from. Our cake variety consists of Photo cakes, Eggless cakes, Sugar-free cakes, Theme-based cakes, Tier cakes, Heart-Shaped Cakes, 5 Star Cakes, Exotic Cakes, Cakes in a jar, Half n half cakes, Cupcakes and so much more. 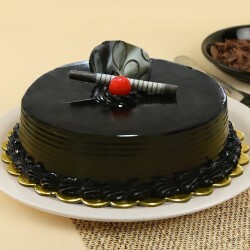 Get most luscious cakes delivered at midnight to distinct locations on time and without any hassles. Opt for Midnight delivery of cakes in Bangalore or get Midnight delivery of Birthday cakes in Chennai with us and grace every occasion with charming moments of surprise. Combined with a fresh bouquet of flowers, it will make for an excellent option for all occasions. Go ahead to order this fascinating combo to lift up the excitement a little more. All our gifts and combos are hand-delivered with great care and efficacy. No hassles, no worries! Who doesn't love surprises? Well, everybody does! And you surely know how overwhelming it is to get your loved ones amaze you with your favourite bunch of flowers and alluring gifts to go with it at midnight sharp. 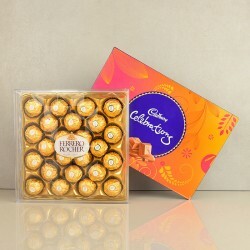 Be it the occurrence of a birthday, anniversary, Valentine's Day, Father's Day, or any other special occasion, we will make it even more special by delivering your surprise nicely wrapped with oodles of love and delivered with utmost care and attention at the doorstep of your loved ones right at midnight with our Midnight gift delivery. 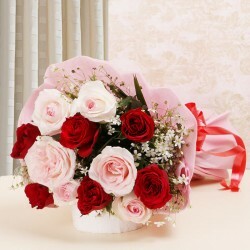 Just three (3) hours and your flowers will reach your loved one with our Express Delivery! Here, at MyFlowerTree, we ensure high-quality gifting solutions with an extensive collection of floral beauties. Choose from a gamut of midnight flowers and flower arrangements delivery including Roses, Orchids, Lilies, Gerberas, and so on. Be at a privilege to be wished first by your loved ones with our extensive range of fresh as well as artificial flower bouquets, basket arrangements, carnations, serenades flowers and more. Give a delightful experience to your special someone and make them feel lucky to have you. Customer satisfaction is our utmost priority. Our foremost intent is to make your day memorable in every way possible. No need to panic, your rescue boat is here! MyFlowerTree caters to a large customer-base with high-quality service deliverance and that's what really makes us stand out from the competition. Make your loved ones feel better with our midnight gift delivery across India. 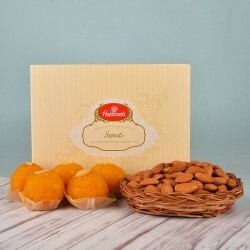 Apart from the usual flowers and cakes, we also offer a plethora of other gifting options as well, that are not only unique but also gives a long-lasting impression. 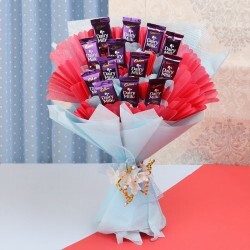 Some of the unique and exclusive gift options available with us for Midnight delivery includes 100 Ferrero Rochers, Luxury Combo, Love Is In The Air, Toblerone, Lush of Love Roses Combo, Buds of Positivity, Layers, of Love, Breath of Fresh Lilies, Cadbury Hamper, Splendid Combo, Basket of Chocolates, Teddy with a Heart, Pink meets Red, Heartfelt Surprise, Classic Combo, Always Works, Pink Delight, 1000 Roses, Simple Silly, With lots of Love, Dairy Milk Bouquet, 24 Pcs Ferrero Rocher, and many many more. When you are unable to reach your loved ones, we come into picture and provide you with delightful moments to share and cherish. Let us help you share the happiness across and give you an incredible experience altogether. So what are you waiting for? Here's your chance to surprise your loved ones and pamper them with our wide range of personalized flower bouquets and arrangements as a token of love and affection. Our main aim is to spread smiles all across the globe. Q.1. What Is Midnight Delivery? Ans:Midnight delivery is a beautiful way of surprising your loved ones by sending gifts for them at 12 am on their birthdays, anniversaries, Valentine’s Day etc. We, at MyFlowerTree, ensure midnight gift delivery across India. Hence, you can opt for our midnight delivery services to send gifts to your loved ones at 12 am. Q.2. Are There Any Extra Charge For Midnight Delivery? Ans: Yes, we do charge extra for midnight delivery of gifts. To know more you can visit our website @myflowertree.com. Q.3. Is Your Service Available Everywhere In India? Ans: We offer our delivery service in more than 350+ cities of India. 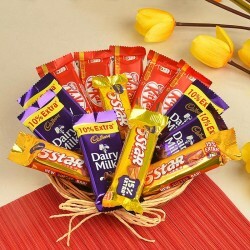 Therefore, if your city is covered by us then, you can surely avail midnight gift delivery service. Q.4. How To Send A Gift At Midnight from MyFlowerTree? 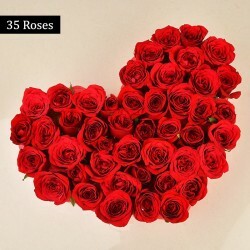 Ans: Go to Myflowertree.com.Select the gift that you want to purchase.Select midnight delivery in the shipping option.Proceed to payment and place your order. Q.5. MyFlowerTree Also Deliver Cakes At Midnight? Ans: Yes, we deliver cakes at midnight. You can find a wide assortment of delicious cakes for different occasions and personalities on our website. For example, we have birthday cakes, anniversary cakes, Valentine’s Day cakes, designer cakes, eggless cakes, sugar free cakes, and many other types of cakes. Q.6. Can I Also Send Flowers At Midnight? Ans: Yes, you can also send flowers at midnight through our midnight gift delivery services. 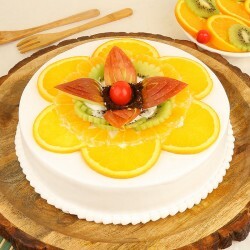 You can also send cakes and gifts for your dear ones at midnight from MyFlowerTree. Q.7. Does MyFlowerTree Deliver Outside India? Ans: Yes, we deliver gifts, flowers, and cakes in abroad as well. Currently, we are delivering in USA, UK, UAE, Sweden, Canada, Australia, South Africa, France, Qatar etc. Q.8. What Are The Gifts That I Can Send At Midnight? Ans: You can send flowers, cakes, chocolates, and all other gifts at midnight. Q.9. Do I Need To Place My Order Early For Midnight Delivery? Ans: Yes, we take orders till 8 pm. So, whether you opt for a same day or midnight delivery, you have to place your order by 8pm.